Ranked #1 in Company for the Third Quarter in 2016 ! 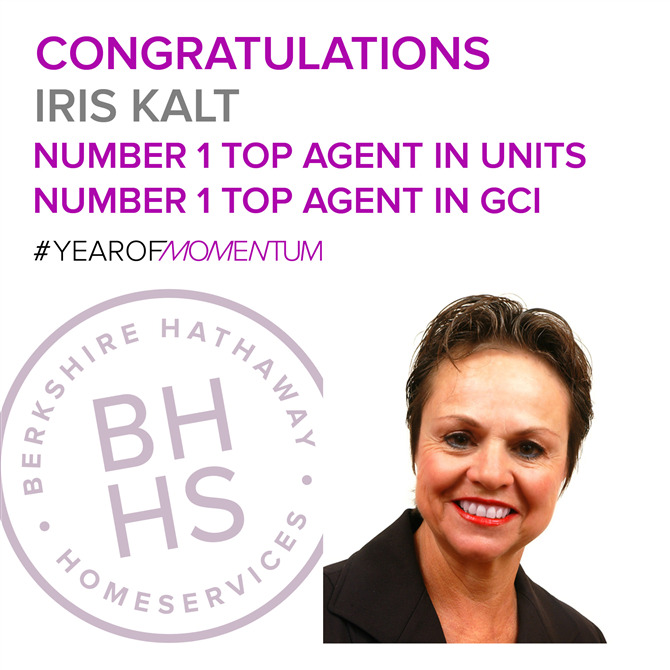 “Iris is a local market expert who is dedicated to her work and clients, I am excited to see her hard work recognized.” - Candace Adams, President and CEO of BHHS New England and Westchester Properties. With over 30 years of experience in residential and commercial real estate sales, I have consistently outperformed Realtors across Westchester County and the United States. Spotlighted in a New York Times feature story on Westchester’s top real estate agents, I was labeled “The Deal Maker” because of my creativity and keen negotiating skills in completing transactions. My track record of sales and impressive “list to sell” ratio demonstrates that I deliver the highest possible selling prices to my sellers regardless of market conditions. I earned the Prudential Real Estate Affiliates Pinnacle Award; being recognized as one of the top ten real estate agents (out of 64,000) in Prudential for outstanding sales volume. Some of my other awards include Platinum Circle Award for outstanding sales volume, Legend Award for being in the top 2% of all Prudential agents, and recipient of the Westchester County Board of Realtors’ Diamond Award five years running for being in the select handful of top agents in Westchester. Based on Sales Volume of sold listings, I was #3 in Westchester based on sales volume of all members of the Westchester County Board of Realtors. I am a graduate of Queens College and St. Johns University, and hold a Master’s degree in education and school psychology. I live in Westchester County with Steven, my husband of over 30 years. My civic duties are numerous and include The Scarsdale Women’s Club, Women’s American ORT, CATCH, The TEED Coalition, The Committee for the Preservation of the Long Island sound and The Association for the Preservation of the Hutchinson River Parkway. My real estate affiliations include the Westchester County Board of Realtors, the New York State Association of Realtors, and the coveted Mastermind Group of the top 100 Realtors in the nation. Additionally I am a designated Certified Buyers Representative and an Associate Broker with Berkshire Hathaway HomeServices Westchester Properties.